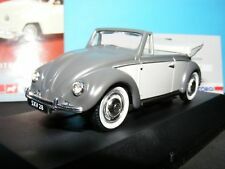 SCALE 1:43 VA09609. CAMBRIDGESHIRE POLICE. THE CASE HAS A CRACK ON ONE SIDE, THE BOX HAS A LOT OF WEAR. MARCH, THIS MOSTLY AFFECTS OVERSEAS PARCELS UP TO 1kg. Corgi 57601 Metropolitan Police Range Rover in mint condition in original box. Condition is New. Dispatched with Royal Mail 2nd Class. P&P — Price includes reusable / recyclable postal box. If more than one item purchased I will only charge postage as one item.... please wait for me to send you an invoice. These models are from my personal private collection.... please see the other models in this ltd edition range and please ask any questions. I am listing over the next few weeks many other Diecast models including Trucks, Buses, Excavation, Bikes. SCALE 1:43 VA09612. THE BOX HAS A LOT OF WEAR & THE CASE HAS A FEW MARKS & SCRATCHES. MARCH, THIS MOSTLY AFFECTS OVERSEAS PARCELS UP TO 1kg. The model is in perfect condition. The model is unboxed and is 11cm long. THE MODELS ARE IN NEAR MINT CONDITION. This model is in quite good condition. The outer box has lost it's adhesive so will require glueing together but that is all. Do keep watching for buying opportunities not to be missed. Cheques drawn on a U.K. Bank only. The New Avengers Steed's Range Rover Corgi. Condition is New. Dispatched with Royal Mail 2nd Class. (The Range Rover has opening rear window together with drop down rear door. Both the driver and passenger doors also open. nd Class only) 94. Condition: Play worn - see all images. Corgi ref TY82805. Corgi Wheelz. Range Rover Police car. Opening Driver & Passenger Doors. Drop Down Rear Door. Corgi ref 57603. Range Rover in Cobalt Blue. Drop Down Rear Door. Opening Driver & Passenger Doors. Working Features. Made in China. You will receive the item in the photos. Study the images carefully. PARCELFORCE will be used if the item is large or excessively heavy. PERSONAL COLLECTION is not an option due to personal circumstances, sorry. You win it you own it no excuses. CORGI CLASSICS. Range Rover in Green. Features Opening Driver & Passenger Doors, Drop Down Rear Door, Opening Rear Window. 6 carded cars cost £4.15. Gold body with black interior. 30th Anniversary decals on doors, opening doors and tailgate. Certificate no 1069 of 7000 made. CONDITION - Mint. Model never removed from picture base display. This is an untouched Corgi Collection 59101 Range Rover and Caravan. The model is in mint untouched condition. Corgi 597/3 Police Range Rover. Corgi Toys Ltd, Swansea, Great Britain issued 1986 (32 years old). Very Rare - Issued 1986. The model is in mint condition with no marks to the paintwork and displays well. Corgi 1:43 Range Rover original luxury 4x4 'A Century Of Cars Collection' 38 sealed with box. Condition is New. I have others in the collection if you were interested in any particular vehicle. Corgi Classics TY82805; Range Rover Classic; Essex Police. Corgi Classics: No.91880. Essex Police. Range Rover Classic. YOU ARE BUYING A CORGI BOXED MODEL No.57606 RANGE ROVER " 30th ANNIVERSARY" LIMITED EDITION FINISHED IN GOLD PLATE, IN EXCELLENT CONDITION. PRODUCED BY CORGI CLASSIC CIRCA. Range Rover 30th Anniversary Edition Model. This item is from my own collection,and was bought in October 2000. Model is made by Corgi and is mint,box has slight wear and tear. Lovely piece. YOU ARE BUYING A CORGI BOXED MODEL No.57606 RANGE ROVER " 30th ANNIVERSARY" LIMITED EDITION FINISHED IN GOLD PLATE, IN ORIGINAL NEAR MINT CONDITION. PRODUCED BY CORGI CLASSIC CIRCA 2000. MODELS ARE MINT.BOXES ARE REASONABLY GOOD WITH SOME DAMAGE AND SHELF WARE.SEE PHOTOS.OVERSEAS NOTE THIS WILL BE POSTED THROUGH EBAY GLOBAL SHIPPING.THESE ARE GETTING HARD TO COME ACROSS NOW. CorgiFord Sierra Saphire RS Cosworth 4x4. Roof mountedlight missing. Doors open onto the dark interior. Decals in fair to goodcondition. (Bonnet decal excellent). Bonnet opens but is a little stiff.Wheels, axles and suspension in good order. Make : CORGI TOYS (MADE IN GREAT BRITAIN). Model : RANGE ROVER (PARIS MATCH). Colour : As per picture. Model Condition : USED (ORIGINAL). The model is in mint untouched condition, and the original clip holding the door open is still in place. Corgi Range Rover Green in Colour . Condition is good. The side and back doors open. It's unboxed. Dispatched with Royal Mail 2nd Class. Corgi Classics: No.TY82807. Range Rover Classic. PHOTOGRAPHS ARE OF THE EXACT ITEM BEING SOLD! CORGI VANGUARD VA09609 RANGE ROVER "CAMBRIDGESHIRE POLICE "
Job Lot Corgi 1:43, Astra, Jaguar, MG ZT, Range Rover. New. MG ZT Blue VA-09300. Vauhall Astra Silver VA-09400. Jaguar XJ Sport Ultraviolet VA-09106. Range Rover Black VA-09608. All new in boxes. BOX SET CHESHIRE CONSTABULARY. CORGI VANGUARD. VA 096 RANGE ROVER. VANGUARDS VA09602 RANGE ROVER GIVERNY GREEN 1:43 BNIB . Condition is New. Dispatched with Royal Mail 2nd Class. Stored in a smoke-free environment and kept away from the light. Never displayed. Epsom Green cream colour seats. Slightly different from the other Range Rover and has a sunroof. Please see my other auctions for different land rovers. Police range Rover Corgi in excellent condition no box. Back doors and side doors open.